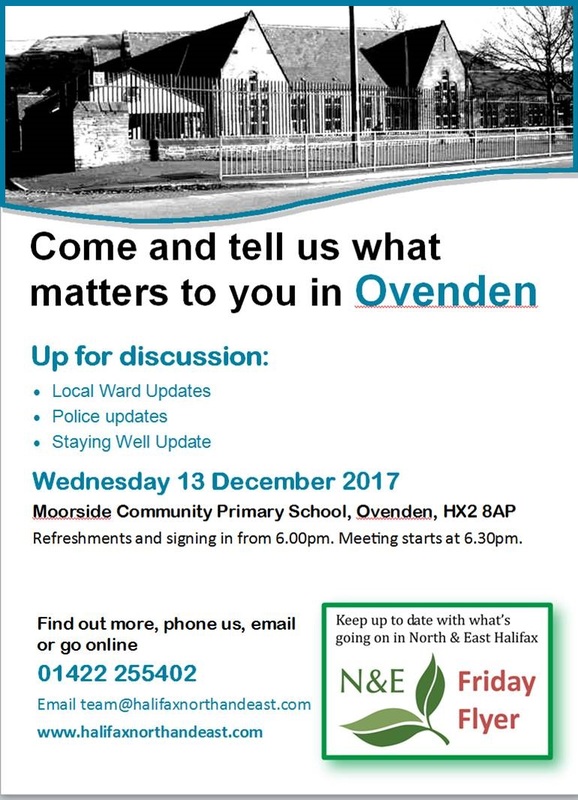 Come along to the Ovenden Ward Forum and have your say on what matters to you. Refreshments and signing in from 6pm. Meeting starts at 6.30pm.